PS Kosher Food Works Inc., a duly registered member of the Israel Chamber of Commerce of the Philippines (ICCP), aims to promote Kosher and US Organic Certification inquiry and export assistance to the members of the organization and the general public. It also matches people who are interested in buying kosher certified foodstuff and in Kosher tours. PS Kosher Food Works is the consulting arm of Star-K Certification in the Philippines. STAR-K Kosher Certification has provided kosher supervision for over fifty years. 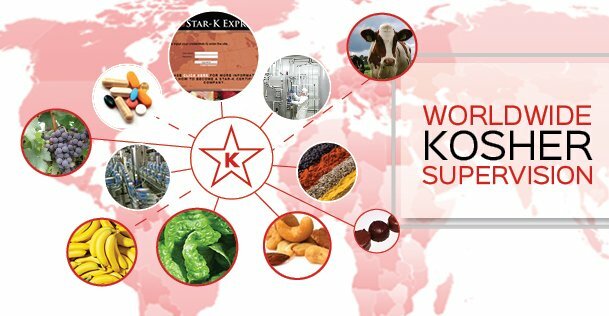 As a leader in the international world of kosher certification, STAR-K is most proud of its reputation for providing professional, fast, and friendly service to both the kosher consumer and members of the food industry. Kosher refers to food that conforms to the regulations of kashrut or Jewish dietary law. The word Kosher is an adaptation of the Hebrew word “kāšēr” meaning “fit” or “proper.” The principles governing kosher are rooted in the Written Torah (the Bible) and the Oral Torah. Jews have observed these laws for over 3,000 years. The indicator of kosher and non-kosher depends on two variables: the source of the ingredients and the status of the production equipment. Kosher certification, which is the guarantee that the food meets kosher requirements, revolves around these two criteria. The Philippines shows a high potential in the global kosher market due to the diversity of the country’s food exports catering to key kosher markets, such as the United States and Israel. According to Rabbi Joel Weinberger, President of PS Kosher Food Works Inc. and an independent international kosher inspector and expert, Philippine food products with growth potential in the kosher market include coconut-based food items, dried fruits, fruit jams and fishery products. Sales of kosher food in the United States alone, which already comprise a third of the worldwide market, totaled $12.65 billion. Millions of people around the world limit their food consumption according to an array of criteria, including health, food safety, taste, and religious or other dietary reasons. Many of these people specifically seek out the kosher symbol as a reliable means of addressing these criteria. Kosher Certification is a guarantee that food products and ingredients meet all kosher requirements. It also authorizes the manufacturer to display the STAR-K emblem on the product to advertise its kosher status.